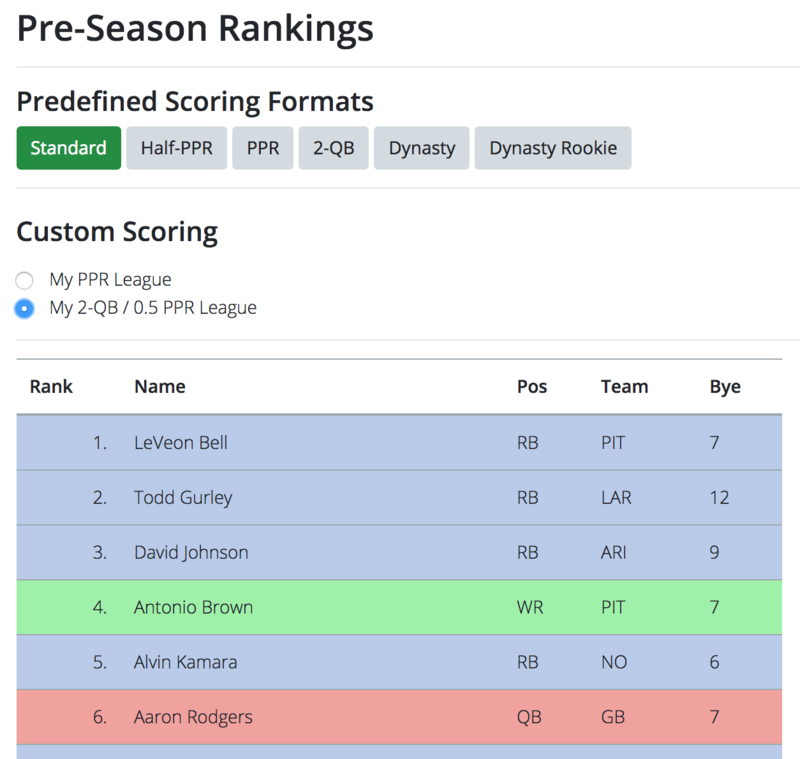 The first step to viewing custom rankings is to configure your league roster and scoring settings. You only have to do that once per team and then reuse those settings for all applications. After the custom settings have been set up with the steps above, the custom rankings can be viewed on the main Rankings page. If you are logged in and have custom rankings saved, you will see a list of pre-saved settings that you can choose from. Click the league you want to view rankings for and the rankings will automatically calculate and refresh according to those settings.